At airport check-in on March 24: 13 students. representing Tabb, Grafton, and York High Schools, depart for Port-Vendres and Argeles, France. 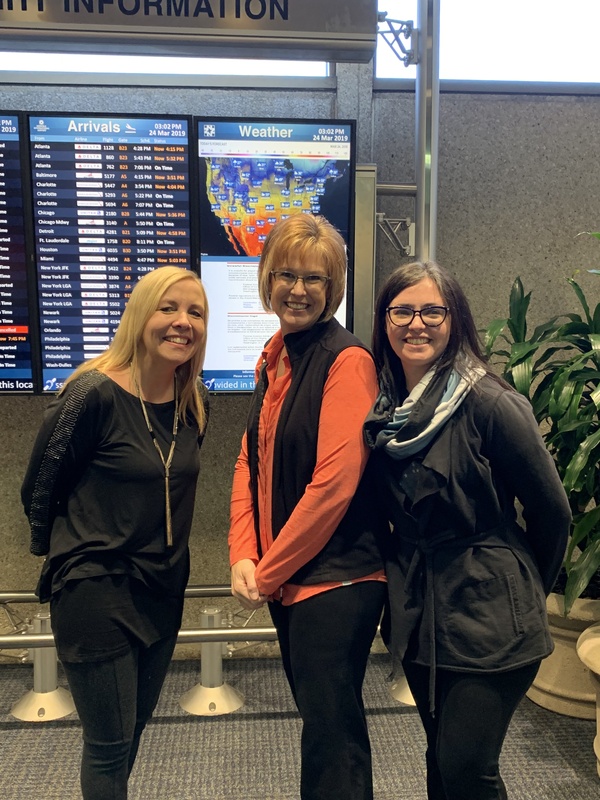 Teacher/chaperones, from left: Roberta Bockrath, Kristin Spires (also mother of one of the student travelers), and Kate Carter. The 2019 Student Exchange is underway.Thirteen students from Tabb, Grafton and York High Schools departed for France on Sunday, March 24. They are eager to meet their French student correspondents from from Port-Vendres, France, sister city to Yorktown. 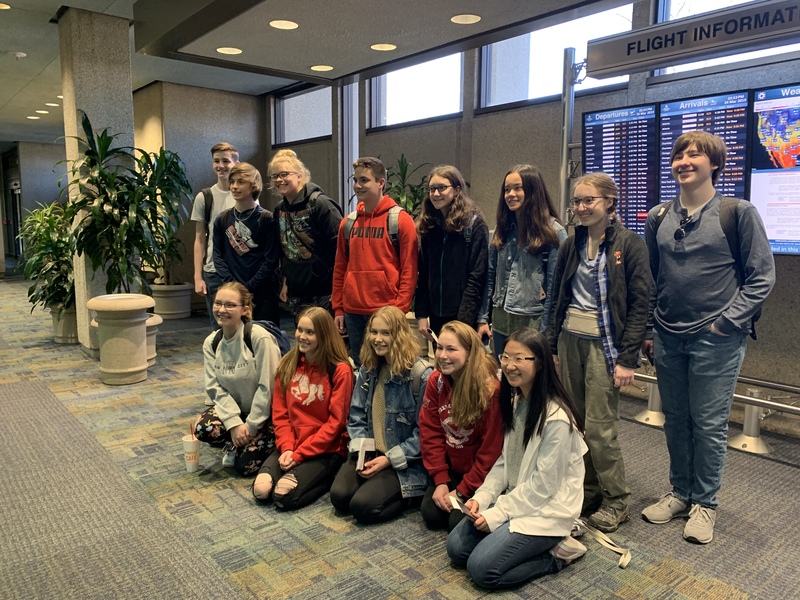 The group touched down in Barcelona, Spain, and will bus to Port-Vendres, where they will live with local families and attend classes at the nearby high school in Argeles. Port-Vendres Mayor Jean-Pierre Romero and the town’s sister city committee will welcome the group at a reception in city hall on Friday, March 29. The students will spend a few days in Paris, before returning home April 5. Three students received scholarship money from Sister Cities Yorktown to help with travel expenses.